Residential Services has worked with industry leaders to identify some great services available for our students. Each purchase made at one of our recommended service providers helps to support programming efforts for students. GradGuard’s innovative insurance and student benefit programs, including their market leading tuition and renters insurance programs, are available through select colleges and universities nationwide. GradGuard is a service of Next Generation Insurance Group LLC, a licensed insurance producer, and a national specialty insurance marketing platform that enables consumers to easily enroll and secure the next generation of insurance protections they need to overcome unexpected financial losses related to specific life-stages. Our residence halls and apartments contain extra-long beds (36" by 80") which require special linens to comfortably fit the mattresses. While extra-long sheets are available in stores, we have made arrangements with Residence Hall Linens by OCM to provide you with the option of ordering linen sets through the mail. Residence Hall Linens will provide you with high quality, extra-long linens, mailed to your home or on-campus address. E&R Cleaners of Manchester, NH operates an optional contract service for students for their laundry and dry cleaning. 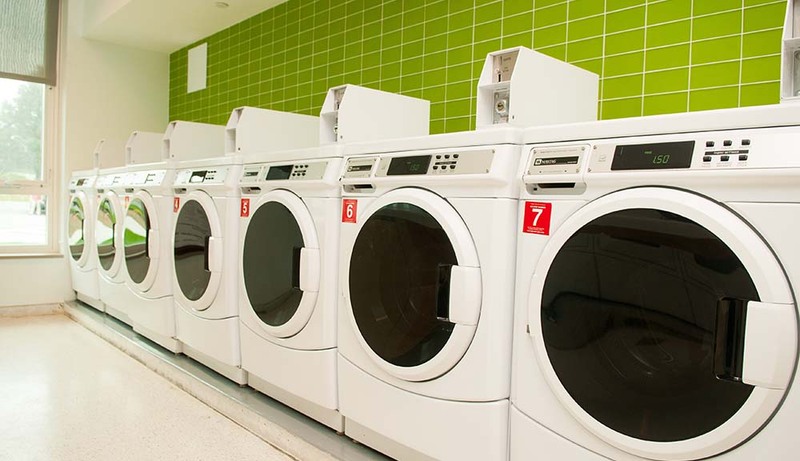 Students can drop off and pick up their laundry right on campus. Information regarding signing up for the optional laundry service will be home to student or you may order online. Bringing a refrigerator and microwave on move in day can be a hassle and take up valuable space in your car. Microfridge makes it easy by delivering and picking up your unit for a low cost. Talk to your roommates about splitting the cost of a Microfridge for the upcoming school year! Boomerang storage will pick up your items at the end of the year and bring them back to you in the fall. Their easy storage solution is convenient for students and make the move in/move out process even easier!